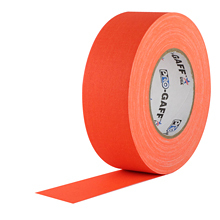 Gaffers tape is made from cotton cloth with a high quality petroleum-based synthetic adhesive. It is prized in the entertainment and audio-visual production communities because it can be cleanly removed, leaving no adhesive residue on cables or taped surfaces. 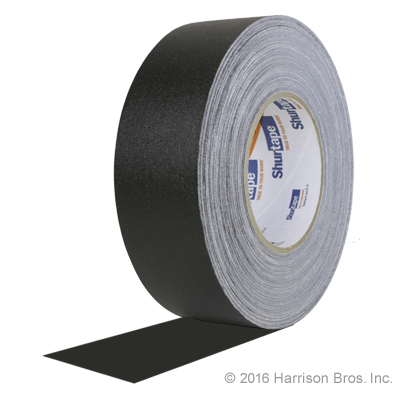 Gaffers tape is hand tearable (no tools required) and can be torn both directions to create pieces just the right size for your application. 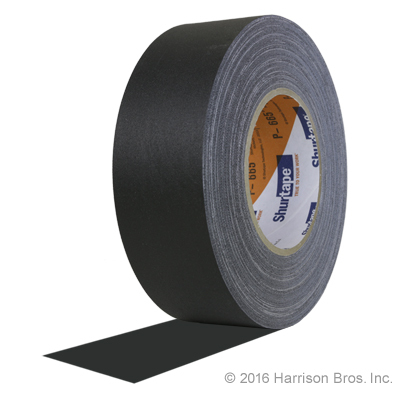 Set designers, lighting techs and stage managers love using gaffers tape on film and video sets and on stage because it’s matte finish does not reflect light and does not call attention to itself. Gaffers tape is great for repairs. It is durable, water repellent and bonds to almost any surface. Color matched repairs can make painting unnecessary. TheTapeworks.com is proud to have provide gaffers tape for such high profile events as The Superbowl, concerts at the Library of Congress, exhibits at The Smithsonian Institution and The Metropolitan Museum of Art and concerts at venues across the country. We supply the media departments of many NFL and NBA teams as well as Broadway tours and major news organization. Gaffers tape (and anything else) you purchase from TheTapeworks.com is unconditionally “Satisfaction Guaranteed”. If you wonder what tape product will best meet your needs, get in touch with us. We’ll be happy to help you make the right choice.